https://www.loomandleaf.com/ don’t offer coupons because they believe their product is fairly priced. If can be purchased here – https://www.loomandleaf.com/shop.html but expect to pay full retail price and not receive a discount to save any money. If you want the mattress, you’ll just have to pay up. I repeat, there are no Loom and Leaf coupons you can use. 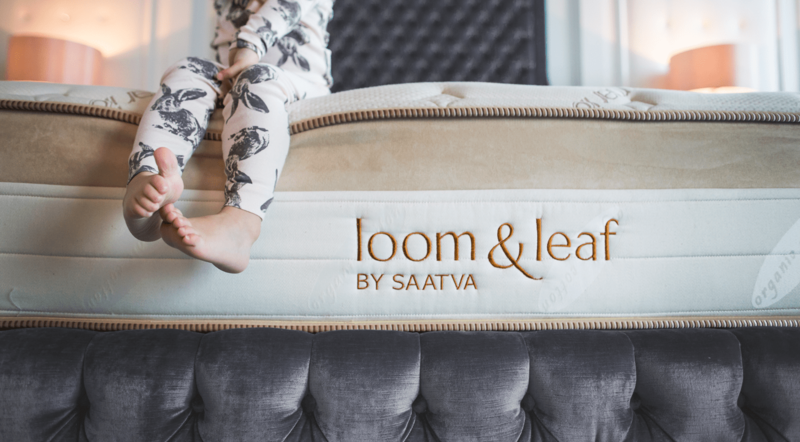 Should you buy the Loom and Leaf mattress anyway? When you hear the name Loom and Leaf, you know right away that it is a new name. The fact is that it happens to be a new type of memory foam mattress that is on the market right now, that is made by Saatva. I recently decided to take a chance and try out the Loom and Leaf. Just a few nights on this bed and I can already tell a huge difference in my sleeping. No longer am I trying to find that right position to fall asleep in. Just about any position will work and if you sleep with a partner, you will certainly be amazed at just how substantial this bed is. When you go to order the mattress, the first thing that you notice is that the ordering process is different than any other place. This mattress doesn’t come in a box. You will go to the order page and put in your zip code or postal code, to see if you can have it delivered in your area but you want find anywhere to enter a Loom and Leaf coupon code. The truth is, that chances are it can be delivered where you are. You will then be able to select what size mattress that you need as well as picking out if you need to have a box spring or if you want to wait to get one. If you already have a box spring or slats, then you don’t have to worry about this. If you are unsure about if you have a flat surface that will work, then order the box spring. The foundations are very well made and sturdy. Once you have your order placed, you will receive a call in a few days to set-up a delivery time. This particular process is really seamless and extremely professional. You will be able to schedule a delivery date and time, so you won’t have to stick around all day to wait for your mattress to arrive. The company actually gave me a 30-minute notice, which was a super great courtesy. The best part, if you don’t want your old mattress, Loom and Leaf will actually take the old mattress away for you. The first thing you will notice about this mattress is that it is pretty heavy duty. I am not talking about super strong, superman mattress. It is more like being substantial. Whenever I get a new mattress the first thing that I do is pounce on it as hard as I can to make sure that it would hold. When I did it with this mattress, I didn’t feel like I was going to sink at all, which is great. 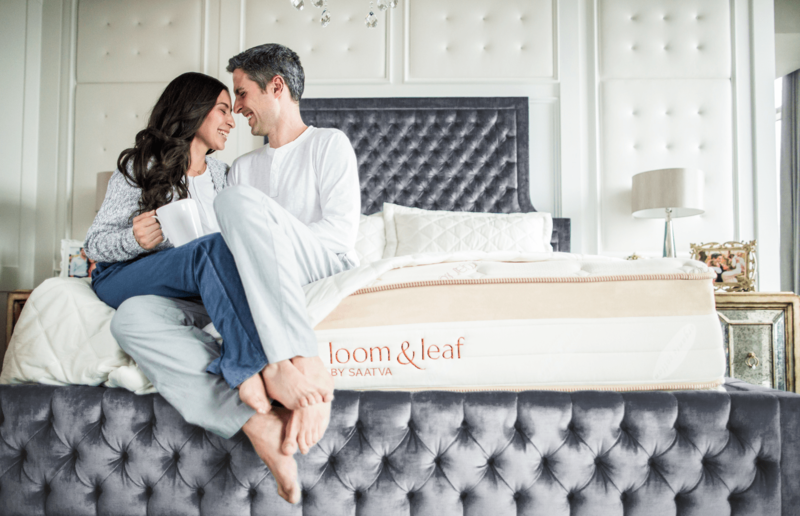 The Loom and Leaf mattress is extremely comfortable and well made. It holds itself against name brand mattresses. You will get a 75 day trial, so if you don’t like it you will be able to return it for a full refund and you don’t have to worry about getting a refund in store credit. This mattress is great for all sleepers in all shapes and sizes. A competitor to Loom and Leaf is Tuft and Needle. Check out if there are promo codes for Tuft & Needle here. And you can compare Tuft and Needle to Loom and Leaf on this page. I will regularly update my Loom and Leaf coupons page so stay in touch. It’s always important to do your research before you buy but with Loom and Leaf because you get a no risk 75 day free trial, there’s much less risk. Is it worth your time or should you check out another mattress company as well. Consider checking out my Loom and Leaf review to help with your decision making process.